Interreg CENTRAL EUROPE will fund 44 new cooperation projects following the third call for proposals. Around 77 million Euro from the European Regional Development Fund (ERDF) will support activities of transnational project partnerships in the coming years. The Interreg CENTRAL EUROPE Member States have selected 44 project proposals for funding in a programme monitoring committee meeting in Vienna on 16 January 2019. 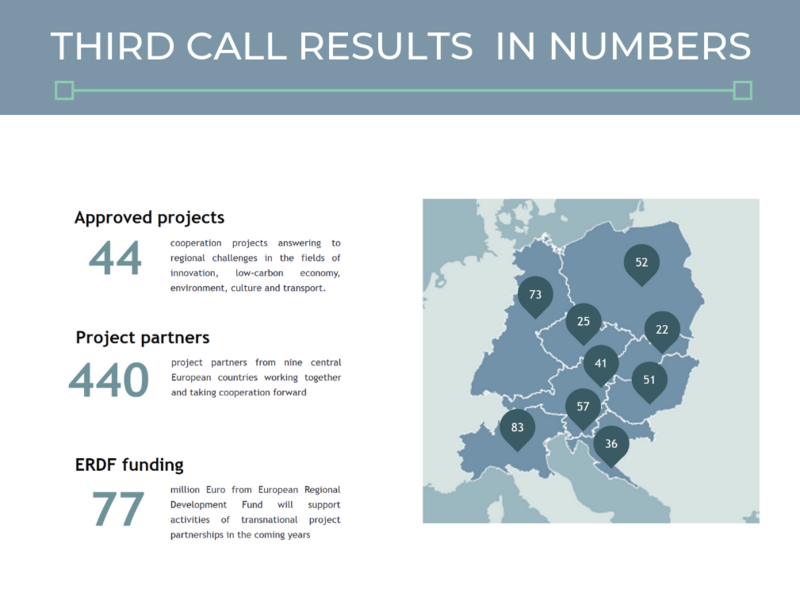 In total, 191 applications were submitted to the third call, all addressing specific challenges and needs in the fields of innovation, low-carbon economy, environment, culture and transport. 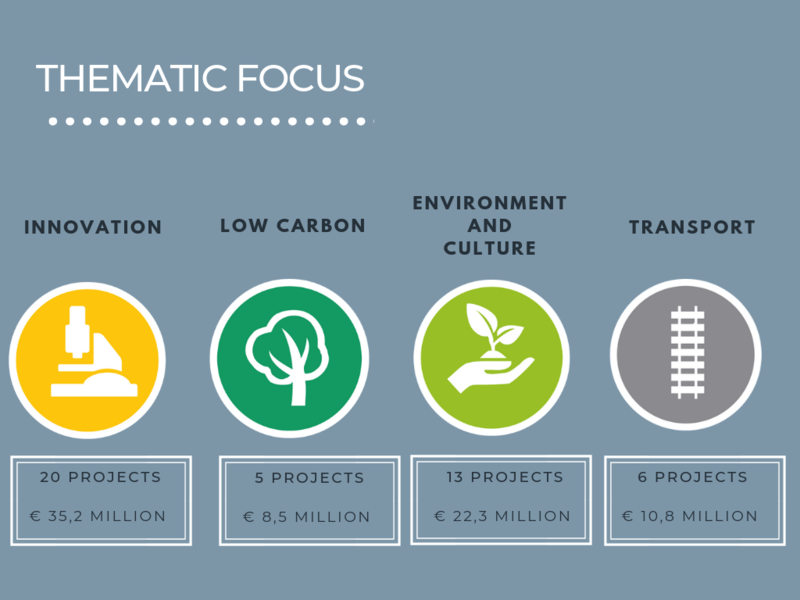 Together with 85 projects already funded following the first two calls, the programme will soon fund a total of 129 projects. This figure shows that the programme is fully on track for achieving important thematic performance milestones. The following list indicates acronyms and full titles of the project proposals selected for funding in the third call. A more detailed "list of operations" with short summaries will follow soon after the contracting. Please note that while every care has been taken in compiling and publishing this list, errors may have occured. The approval of all project proposals is still under condition. Lead applicants who submitted proposals to the third call will be officially informed about the selection results and conditions for approval in a letter from the Joint Secretariat within the coming days. Centralparks Building management capacities of Carpathian protected areas for the integration and harmonization of biodiversity protection and local socio-economic development. DEEPWATER-CE Developing an integrated implementation framework for Managed Aquifer Recharge solutions to facilitate the protection of Central European water resources endangered by climate change and user conflict. HealingPlaces Enhancing environmental management capacities for sustainable use of the natural heritage of Central European SPA towns and regions as the driver for local and regional development. The programme will soon launch a new, more experimental call on 4 March 2019. 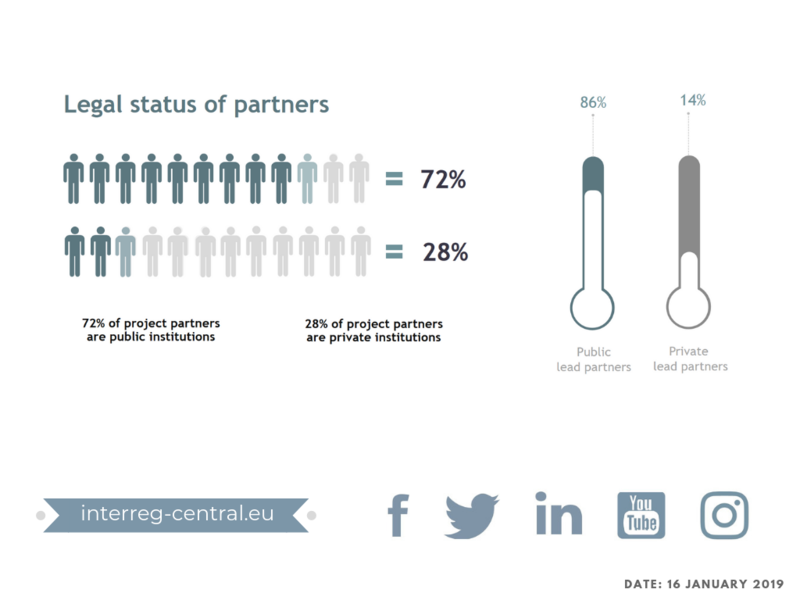 The aim will be to capitalise on promising results of the currently funded 85 Interreg CENTRAL EUROPE projects. The programme countries agreed that indicatively 10 million Euro ERDF will be used for further rolling out existing project outputs and results at the regional and local level as well as to improve policy making. The call will also encourage closer coordination with other, horizontal EU funding instruments such as Horizon 2020, Connecting Europe Facility or LIFE. Interested organisations will have until 5 July 2019 to build their transnational partnerships and plan concrete activities. A detailed application manual will be published with the launch of the call. Please subscribe to our newsletter or regularly check our application page for updates on call-related developments.